Maternal health has always been an issue important to the WI. In the 1930s WI members found it unacceptable that rural women could not afford to receive analgesics (pain relieving drugs for childbirth) due to obstetricians only being trained to administer analgesics, not midwives. In 1938 a resolution was passed urging the Executive Committee to ‘take all possible steps to get the new methods of analgesia made available for all country women in childbirth in their own homes’. After a government bill attempting to enshrine into law, the right for women to have a pain free childbirth - failed to pass, the NFWI kept up the momentum by surveying mothers on the use of air and gas during labour. 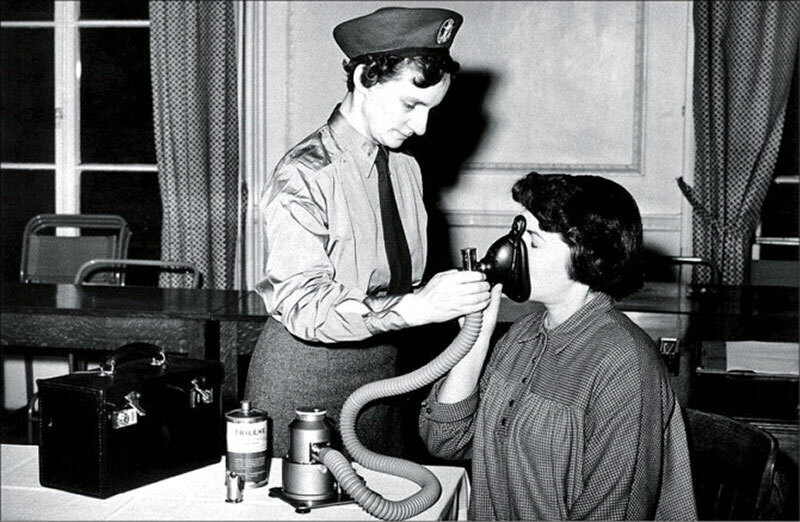 When the survey revealed that women were prevented from using analgesics because they lacked information, the WI embarked on an educational campaign in county fairs up and down the country, demonstrating how the machine worked and showing women it was safe and effective.